Westerville "Up Town" looks and feels like Rural Ohio. 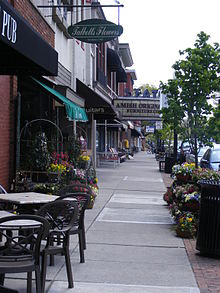 With Otterbein College just a couple blocks off Main Street the down town are has grown to have may small stores and several new restaurants while maintaining much of the historical Architecture. Westerville was the home of the Anti-Saloon League (Temperance League) which brought the prohibition era to the Us and gave Westerville as the "Dry Capital City" in the US. The city was dry until 2005 when voters ended the "dry era!" The city has miles of bike trails including a part of the Ohio to Erie bike trail. In addition, there are 3 large parks and a wonderful new 96,000 Square foot Recreation center with fabulous indoor swimming facilities. Hoover reservoir hosts sailing teams from Ohio State and Denison Universities and is a great pontoon boat, kayak, and canoeing lake for fishing or recreation as their significant horsepower limitations on boats. 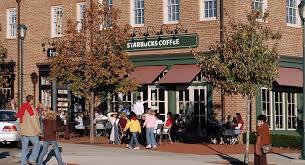 Westerville was named Best Suburb by Movot Real Estate in 2013 and was ranked #15 on Money magazine's list of Top 100 Best Places to Live in 2009. The New Albany Area is the newest suburb to develop in the Columbus area and has very new school facilities, parks and subdivisions. In the New Albany Country Club area the architecture is all Williamsburg presenting a very prestigious and beautiful living environment. Home prices in this are range from the middle $300's up the multi millions with averages above the $500,000 range.